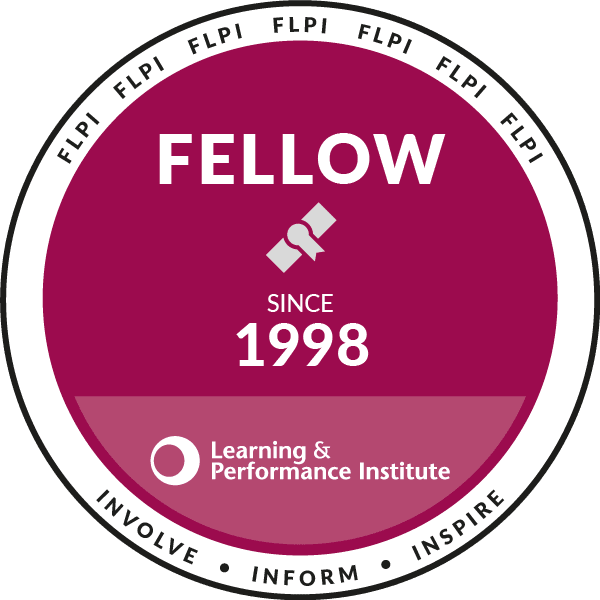 Last week, I attended the excellent two day 'LearningLive' conference in London, hosted by the Learning and Performance Institute - great sessions, great speakers (especially the two - yes TWO - keynotes, Elliot Masie and Richard Wiseman), great company, conversations, dinner and learning. No, what I wanted to talk about was something that's been very much part of my live learning (see what I did there?) recently, and was a recurring theme in many of the discussions in and out of the conference sessions - that of 'permission'. Who thinks they need it, and from whom? For what? Why do so many of us think that we need permission to do stuff or to do stuff differently? Is it the way we've been brought up? Educated? Trained? Inducted? Managed? And what would happen if we didn't seek permission, but went ahead anyway and sought forgiveness afterwards? What's the worst the could happen? Could we even be using not having permission as an excuse not to try, but to play it safe? Many conversations at the conference revolved around changing our approach to learning and development, by applying technology, by developing new skills and by changing the relationships between the traditional provider/methodologies and the emerging self-aware, self-managing learner. For me, a recurring and resonant theme throughout was about what permissions we feel we need to have to be able to choose and follow the paths of change. I've been giving these questions a lot of thought recently, as I have allowed myself to start considering the possibility of no longer pursuing full - albeit self - employment, and perhaps even semi-retiring. Regular readers and other friends will be aware of my turbulent year last year, with heart surgery, followed by redundancy and my subsequent setting up of an independent L&D/Learning Technologies consultancy. To cut a long story short, I found that my heart wasn't in it, that I didn't feel able to put in the hard work that was required to make a viable and growing business of it, but that I had to press on, despite how I felt. But I also felt that I needed permission to take the decision to slow down, to take my pensions, and to try other things - permission from my wife, my children, my friends, my peers, ex-colleagues, PLN, clients and other professional associations. Well guess what? They all - to a person - gave me their blessing, their permission, to follow my heart. And in opening myself up to sharing my thinking about a future without the pressure to 'do stuff' and 'make money', it turns out the only individual who's permission was being withheld was myself. It was my own perceptions of self-worth, credibility, usefulness which was holding me back. I am so grateful to my family, but also to my friends and PLN for the conversations we have had recently online and face to face at last week's conference. I know it's going to be OK; different, but OK. Always needing permission to do stuff, or to stop doing stuff, or to do stuff differently stifles enthusiasm and creativity. But working out loud, sharing ideas and exploring possibilities, looking up and asking 'what if...?' opens up a world of opportunities. Maybe Learning & Development should give itself permission to at least try to do that. P.S: I'm not burning all my bridges tho'. I continue to be fascinated by L&D, LearnTech and social media, just not to the exclusion of everything else. I'll still turn up at the tweetchats, the conferences and the unconferences. I'll still be mouthing off in social media. I may be doing more writing. I'm continuing to work with my existing clients and am open to any other opportunities which emerge. Niall I'm glad to here you won't be disappearing but applaud your decision to do what feels right. It's all about giving yourself permission, something I didn't really do when I was supposed to be on maternity leave. And given my time again I'd do things differently. Bravo to you - enjoy it - and why not get involved with something like Learn Appeal to keep your hand in? !